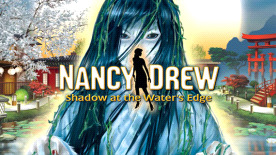 Nancy Drew®: Shadow at the Water’s Edge is a first-person perspective, point-and-click adventure game. The player is Nancy Drew and has to solve a mystery. Explore rich environments for clues, interrogate suspects, and solve puzzles and mini-games. Choose from two difficulty settings (Junior or Senior Detective) to allow players of all skill levels to solve the mystery.